If you’ve been unfortunate to witness what a tornado can do to a school, you know it’s the most awful thing in the world. As a parent, sibling, aunt, uncle or grandparent you assume that your loved one is safe each day they’re at school. Unfortunately, there’s no guarantee that when bad weather hits it will pass over a school with no damage. 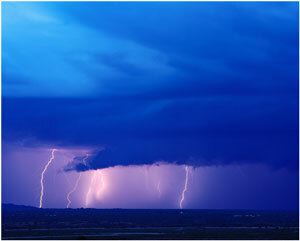 We’re coming into the stormy season: Is your District prepared? We’re pretty lucky in Michigan since we don’t need much concern for hurricanes and major flooding. Of course, floods do happen, but not as much as a chance for straight line winds or tornadoes in Michigan. In fact, the average number of Tornado’s touching down in Michigan is 15-21 per year. That number was down in 2012, but history shows there really isn’t a predictor out there to say if 2013 will have more or less activity. Michigan’s tornado season starts in April and runs through August (but has seen tornados outside these months). Our peak season is May, June and July, thankfully, when classes aren’t typically in session. Do you know what would be the first thing you would or should do, once the children and staff are safe and sheltered? Facing any damage to your buildings would be easier and on target if you teamed with a professional and experienced restoration company like Wolgast Restoration. By developing a relationship and strategy before you have an emergency would ensure the most effective, strategic, efficient way to make the decisions your District will face. Once you develop a Disaster Response Plan, which Wolgast Restoration can assist you with, it must be in place and managed at all times. Some situations require immediate critical response, so having these documents ready is important for cost containment and proposed techniques in advance of implementation. Time is always critical when a disaster strikes and having an agreed-upon course of action will alleviate potential problems. Resources could already be in place to meet most of the demands of the situation, such as; knowledge and contact information of officials (fire marshal, school board, local building inspectors, etc.). Wolgast Restoration is familiar with how schools operate and insurance claims, and would work well with your insurance adjuster. With the team formed (Wolgast Restoration, Superintendent, the District’s facilities and operations staff, local government officials, school board members, etc. ), the level of communication established and all detailed documents in place YOU ARE NOW READY to handle a disaster should it happen. 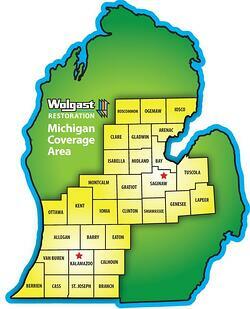 BE PREPARED AND LET WOLGAST RESTORATION HELP YOU. Making sure you and your family are properly prepared for a natural disaster, such as severe weather, lightening storm, flood, or a fire in your home, is a great way to assure that you’re able to “weather the storm” and safely evacuate your home. FEMA has a website designed to assist you in preparing a Family Emergency Plan: www.disasterassistance.gov, which guides you and your family to safely and quickly evacuate your home in an emergency. 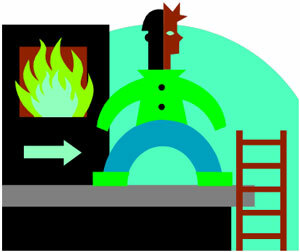 The first step is to put together an escape route (www.ready.gov/make-a-plan) from your home and make sure to practice this frequently so everyone is familiar with it. Create a floor plan of your home, making sure to show escape routes from each room; and keep a copy of this floor plan in each room at your children’s eye level. If you have upper floors, make sure each room has an escape ladder and everyone knows how to use it. The second step is to plan where you and your family will meet after evacuating your home. 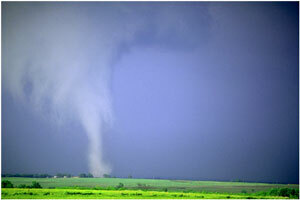 Part of preparing the Family Emergency Plan is to decide on a location BEFORE disaster strikes. You may want to discuss having an alternate meeting location if the first location is not available. The third step is: PRACTICE MAKES PERFECT. Practicing your escape plan is vital to making sure that everyone does indeed get out of the home safely and quickly. It’s recommended that you should practice once per month so everyone is familiar with the plan and knows exactly what they need to do and how to do it. Preparing for emergencies and disasters BEFORE they happen will likely help your family to stay calmer during a hectic time. Just keep in mind that you MUST practice with your family once you have your Family Emergency Plan created. Disasters could happen at any time. Being prepared is the best way to ensure your family’s safety when it does. At Wolgast Restoration, when mayhem strikes, we strike back!